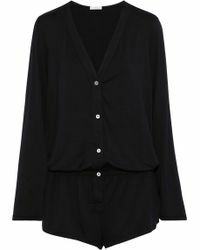 Miami-based label Eberjey was founded in 1996 by Ali Mejia and Mariela Rovito. What started out as a small lingerie brand soon expanded to include luxurious collections of loungewear, bikinis and swimsuits. 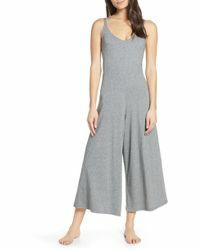 Eberjey jumpsuits combine delicate fabrics, flattering cuts and subtle, feminine designs. 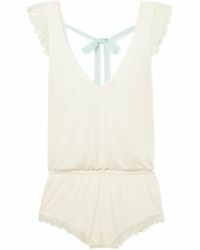 This collection features classic V-neck rompers, soft jersey playsuits with lace trim, and nautical Teddy suits.